When you are not so careful, air conditioners have a reputation of sucking up your power. It leads to hiking up of energy bills. Well, your AC does not have to be a money pit. Neither do you have to suffer the Houston heat with a pretext of saving money. There are various ways to save energy when you run your air conditioner. Then, you will be able to keep cool and preserve the environment at the same time. When purchasing your air conditioning system, look for the “Energy Star” symbol. It is a rating system developed to help you consumers make informed decisions on the appliances you purchase. It encourages low energy consumption. If you get a free standing or window air conditioner which is Energy Star certified, you will enjoy up to 10 percent more energy efficient than conventional units. A central or built in AC will be up to 14 percent more efficient. Know the space to be cooled and buy the right cooling system. There are some places with air conditioners which are too big. One of these kinds will shut off as soon as it reaches the thermostat setting. This happens before dehumidification occurs. It results in a clammy and uncomfortable feel including uneven cooling. Thus, also get a system appropriate to the area where it is to be installed. 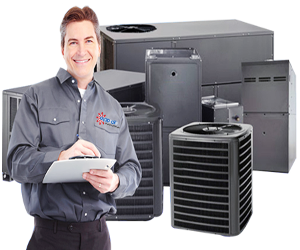 Always get a technician to ensure your air conditioning system is running properly with all its parts in good working order. Letting it run to breaking point might cause damage to components which might be expensive. So, always get Ac repairs in Houston to prevent this from happening. Air conditioning systems need air filter replacement, and your professional technician can take care of that. Always augment you AC with fans is better than turning the thermostat lower. When the fresh air has not reached all corners, turning down the temperature will not solve the problem. What is better is to use fans to circulate the air and direct it to areas where the cool air cannot reach. It is more energy efficient. Fans also help to pull fresh air throughout the house at the same time exhausting the warm air outside. You need to double check your windows to ensure they are closed before running the air conditioner. Leaving the windows open makes the work of your AC harder. So, always make sure that the windows are not open. Someone might open and forget to close them. Always double check on this, it only takes a minute or two but can save you a lot of money. When you are setting the thermostat, set it to the desired temperature. Do not set it to colder. Make up your mind on the preferred temperature and live it there. Dropping the thermostat setting is not a solution to make the AC cool faster.it will save you a lot to run your air conditioning system. Smartly run your air conditioner, and you will have no worries about skyrocketing energy bills anymore. The tips above will do the trick.